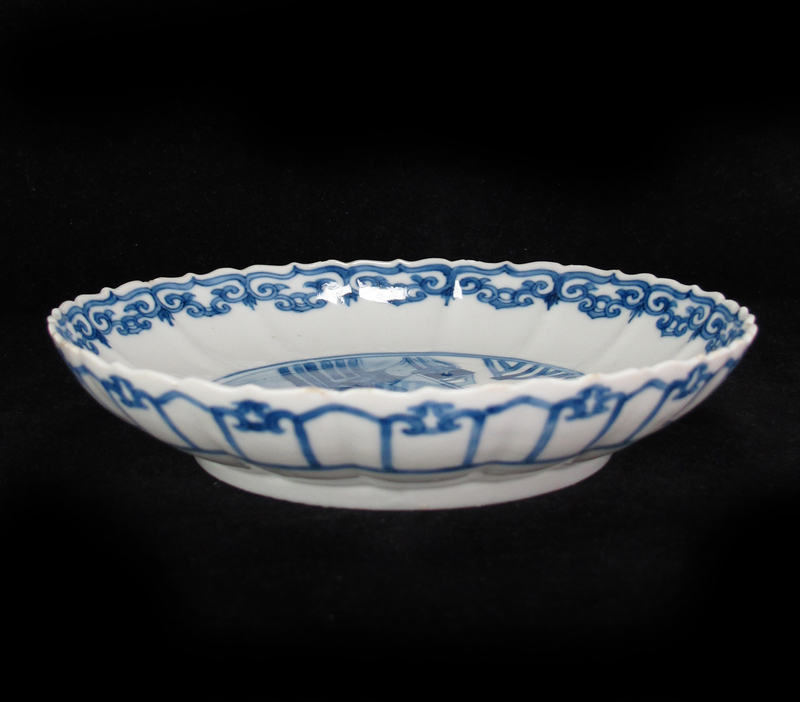 A Kangxi period blue and white dish, delicately potted in a lobed scallop-edged shape, and painted in the central well with a beauty resting in a garden. 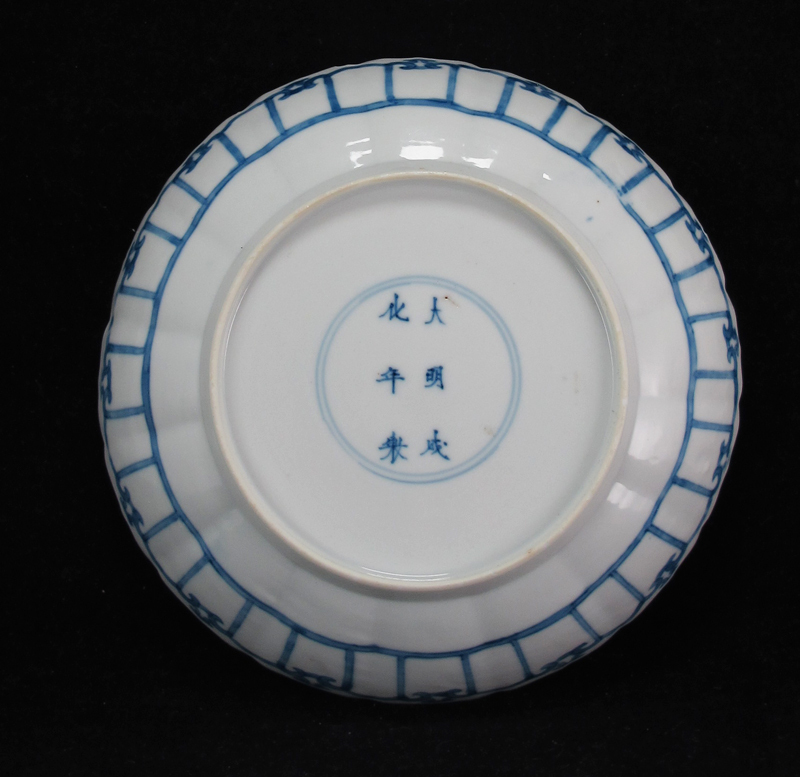 The base is marked with a six-character Chenghua mark. 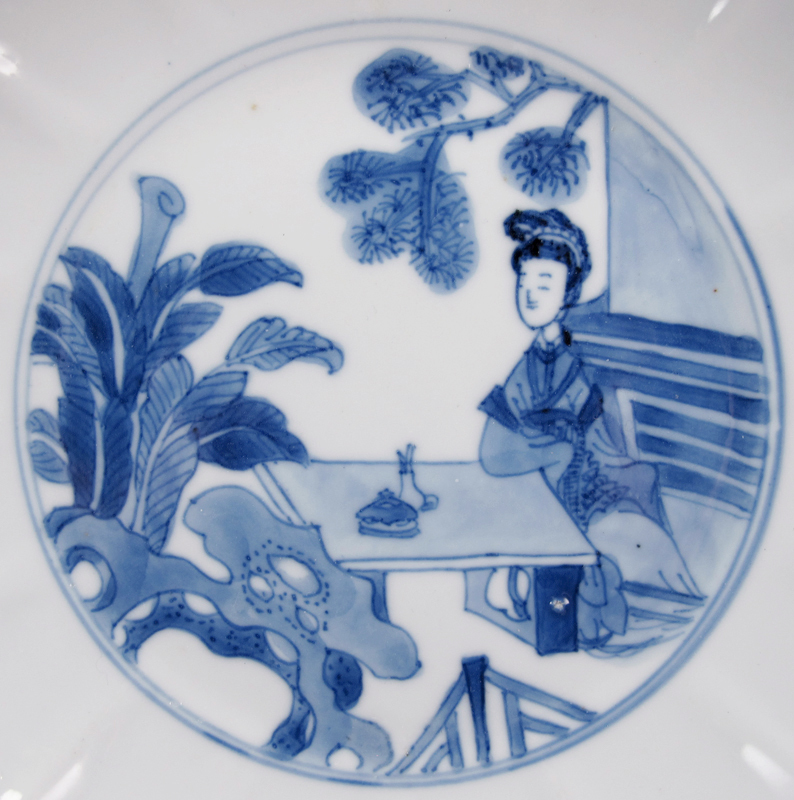 Women often represent an aesthetic ideal in Chinese art. 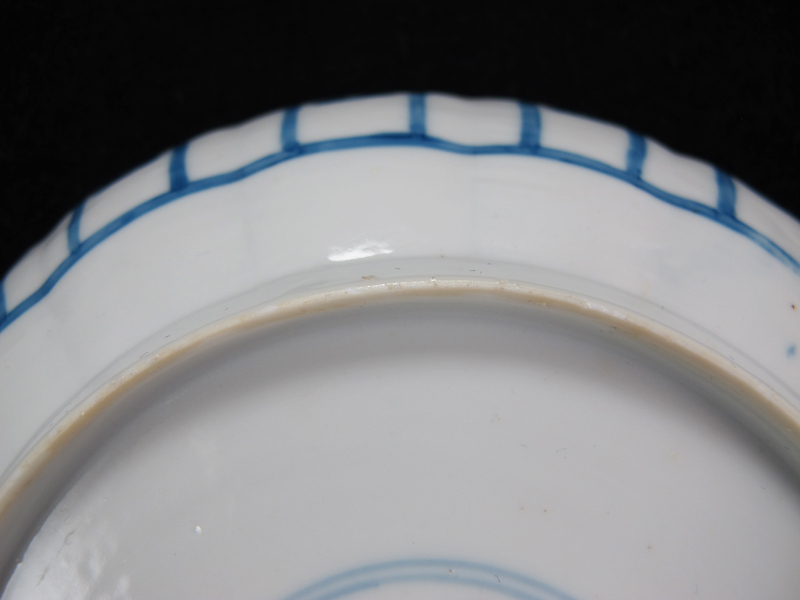 In particular, early 18th century Chinese portrayals of women feature willowy, svelte beauties–at once wistfully graceful and at once sensuous. 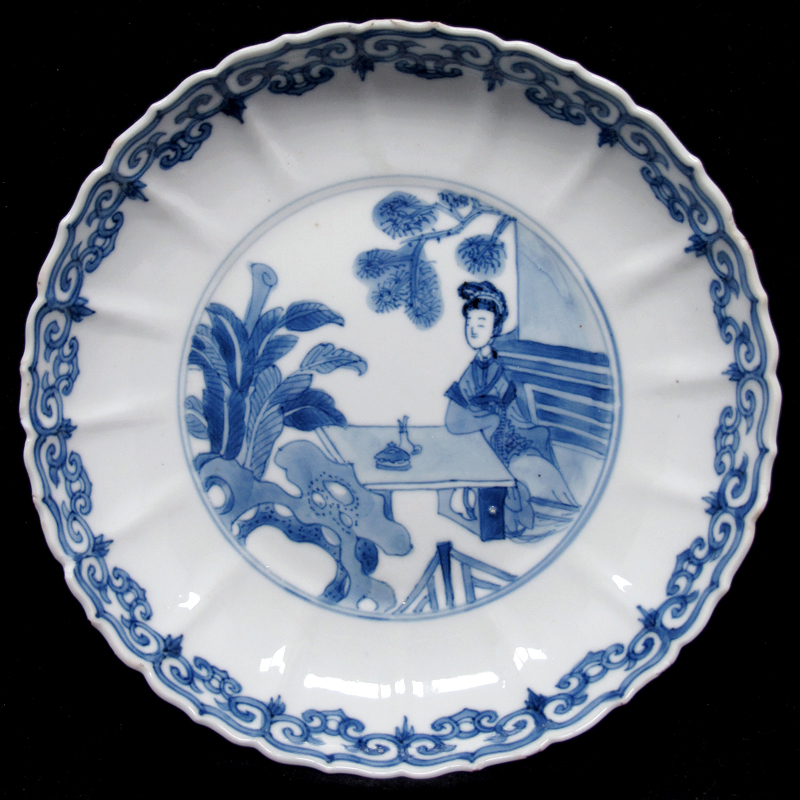 These images (such as the central scene painted in this dish) typically en-cloister women in the “private” domestic sphere of gardens and household interiors.